Salsa has always been considered a tasty side dish. But in fact, It's more than that. When produced fresh, It contains very high amounts of iron, manganese, magnesium, potassium, and phosphorus thiamin. 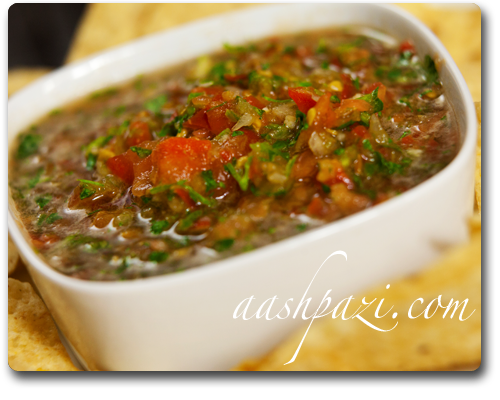 Salsa also contains high amounts of vitamin A, vitamin B6 and vitamin C.
Salsa can be medium, hot or mild, but don't under estimate the benefits of jalapenos. They are high in vitamins and are considered a healthy snack. Since it's not that pleasant to eat jalapeno raw for most people, It's a good practice to use more of them in our healthy recipe such as salsa. They can help your metabolism, and blood pressure and cholesterol, and also a good anti bacterial agent. Salsa is very low in calories too. 3.5 oz (100g) of salsa has 25 calories.